Disputed Wills - Laceys Solicitors Laceys is a leading, forward-thinking law firm with specialist experts serving both individual and business clients across a broad spectrum of practice areas. The death of a parent, partner, family member or other loved one can be an extremely distressing time. 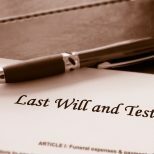 If there is no will, there may be uncertainty about the entitlement to a share of the deceased’s estate but even if there is a will, the contents may cause surprise, upset and disappointment. 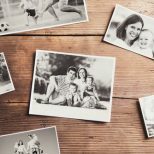 The death of a loved one can heighten family tensions and things can very quickly get out of hand. The members of our team deal with contentious wills, probate, estates and trusts acting for beneficiaries, executors and trustees. 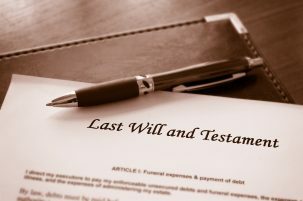 They have experience in dealing with concerns about whether the deceased had capacity to make their last will, whether the personal representatives are administering the estate properly in accordance with the terms of the will (or, if there is no will, in accordance with the rules which apply where there is no will), or whether there has been a failure to make provision for a particular person in the will, for example. Whatever the issue, and whether you are making a claim or defending one, we can sensitively guide you through this complicated area to equip you with the clear and concise information you need to make decisions at what is often an emotionally challenging time. We can offer practical solutions to defuse conflict before it gets out of hand. Our team regularly advises on the resolution of matters by negotiation, mediation or other methods of alternative dispute resolution and, where court proceedings cannot be avoided, through litigation. For further advice on any contested will matter please contact Rob Kelly today to see how we can help. Rob is an Associate Member of the Chartered Institute of Legal Executives (September 2009). Rob also holds an LLB (Hons) degree in law. He successfully completed training as a mediator under the ADR Chambers / Harvard Law Project Scheme and was one of the first mediators to have been appointed an IMI Certified Mediation Advocate in the UK with a commercial practice. 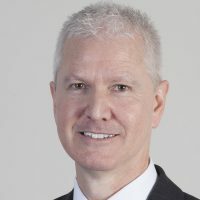 Rob specialises in dispute resolution through litigation, arbitration and mediation, with particular emphasis on contractual disputes, claims involving allegations of professional negligence (which he has prosecuted on behalf of commercial and private clients and defended on behalf of insurers, re-insurers and Lloyd’s syndicates). He is regularly instructed in connection with substantial disputes involving contractual, professional negligence, contentious probate issues. Rob also deals with contentious property and landlord and tenant issues. Rob’s style is a mix of listening, asking (tough) questions, diplomacy and reality testing. He’s interested, flexible, and pragmatic. He offers a common sense, realistic approach to assist his clients in searching for solutions to their disputes and brings straight talking and integrity to his work. Should Wills provide for children? Mirror or Mutual Will? Make sure you know the difference.